Cat Plan: The government is exploring options for expanding cat containment in the ACT. File photo. 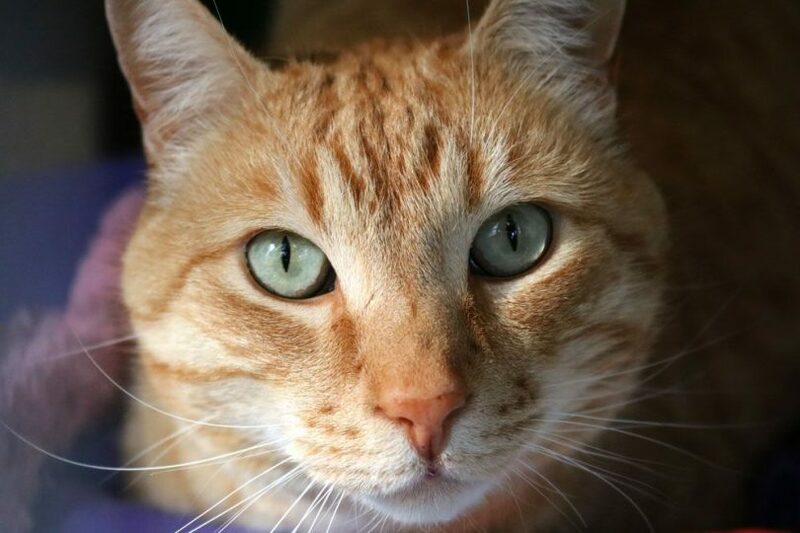 The ACT Government will expand its cat containment policy into the future suburb of Whitlam and is calling for community consultation on the new draft plan on cat management in the ACT. The new suburb of Whitlam, north of Denman Prospect near the Lower Molonglo Nature Reserve and the Molonglo River Corridor, is the latest suburb to join current cat containment areas. Whitlam is the 17th area across the nation’s capital where cat containment is enforced and will join Bonner, Coombs, Crace, Denman Prospect, Forde, Jacka, Lawson, Molonglo, Moncrieff, Taylor, Throsby, Wright, The Fair at Watson, Strathnairn, Macnamara and Gungahlin Marketplace shopping centre. Minister for City Services Chris Steel said the new suburb is a habitat for an abundance of native wildlife and state residents keeping their cats contained at all times will help protect the native wildlife in this area. “We are expanding cat containment to Whitlam particularly because it is close to the Kama Nature Reserve and Lower Molonglo Reserve, a habitat for native wildlife including the rare pink-tailed worm lizard,” Mr Steel said. The announcement comes on the day Mr Steel released a new Draft ACT Cat Plan for the next decade, which would expand mandatory cat-containment measures into established suburbs, as well as newer suburbs adjacent to bushland. Mr Steel said the draft cat plan supports a vision where all cats will be owned, wanted and cared for by responsible owners. “We want the feedback from the community on a range of cat management issues and proposed actions including cat containment, desexing, and the control of unowned and stray cats,” he said. “Living in the bush capital, many Canberrans enjoy living close to nature, however, for our native wildlife, this also means they are often vulnerable to predation from our cats. The Conservation Council ACT Region welcomed the Draft ACT Cat Plan and encouraged the community to get involved in the consultation over the next three months. Conservation Council ACT Region executive director Helen Oakey said the council supports the whole of the ACT becoming a cat containment area by 2025, stating that a uniform approach would protect native wildlife. Ms Oakey pointed to an ACT study that estimated that domestic cats kill more than 100,000 rosellas in Canberra each year as a reason why cat containment was necessary. “Cats are known to roam both during the day and at night, up to 1km from their homes, and unfortunately hunt many species of birds and animals,” Ms Oakey said. “The Draft ACT Cat Plan discusses options to expand cat containment in the ACT, such as gradually adding cat containment suburbs, putting in place requirements for new pet cats to be contained or simply declaring all suburbs cat containment. “While we know that cat containment measures in suburbs have been effective, given the spread of our native wildlife, and how far cats can roam, a uniform approach across all suburbs would be more successful in protecting native wildlife. The Draft ACT Cat Plan 2019-29 is available here. To submit feedback or find out more, click here. Perhaps if we had a Human Conservation Council to lobby on behalf of two-legged chew toys for canines, our relentlessly corporatist Government might take similar action to contain dogs. I think the logic behind the assertion that cats have killed 100,000 rosellas is flawed. This is 273 birds per day across Canberrra, where the true number might be closer to maybe 15 which is as good a guess as any. I think the real reason why there are less rosellas is because the european wasp is now established in Namadgi, and they are a meat eater, having replaced the vegetarian native bee population. No insects = no birds because of food supply, not because of predation. Yes cats are a contributor, but I don’t think they are a major one. Well may we say "god save the cat"
Has the ACT government done any studies as to the effectiveness of these containment laws in regards to the protection of native wildlife? One of my concerns is that without well fed pet cats establishing territories, its easier for these suburbs to contain larger numbers of feral cats that must hunt to survive. James Daniels with domestic cat containment it is so much easier to identify and remove feral cats. John Perkins how's that progressing in the existing containment suburbs? From what I"ve read there is next to no enforcement. Shouldn't have to police this. Cat owners should comply with the law. Most dog owners 'contain' their dogs. Deirdre Russack as an owner of a cat and dog, it's stupidly easy for a dog owner to say I contain my dog. I bet if dogs could jump fences your tune would change. All suburbs within 5km of any sort of bushland should be cat containment areas! No, they don't and no one really cares despite supporting this on social media. Also, no one has ever been fined for it yet. I think these cat containment laws are some sort of ineffective environmental virtue signalling. I live in Coombs which is a cat containment area, and a while ago, a lady nearby me abandoned her flat (for unknown reasons) and beautiful 3 cats who were faithfully waiting for her permanent return for two months. She locked them outside before she left. I called the RSPCA, the Rangers and domestic animal services and none of them would do a damn thing. The RSPCA said it was up to me to catch them if I wanted to. So I fed the poor things for two months until I could secure help from the awesome Streetcat alliance to trap all three and take them to the RSPCA, where luckily all three were rehomed and adopted in a matter of days. These three cats were in full view of the public for two months day and night and the authorities did not care one iota. Further, my cat desperately wants to go outside often so I lead walk him daily. Now I read in a similar recent Canberra Times article that lead walking is not allowed??? Why punish responsible cat owners for doing the right thing? That's what makes me think these policies are not evidence based. Scrap all of the cat containment laws, associated fines and hire more animal control people that help capture and rehome stray and abandoned cats, help low income people afford desexing and then donate the rest of the money to the RSPCA and associated organisations I say. Considering the number of times I read about people not keeping their dogs on leads, I'd be very nervous about taking my cat for a walk. Yuri, yes it can be nerve wracking at times - and embarrassing! I have to leave my dignity at home but it's worth it because my cat loves it. Also it's often just around the immediate area of my unit complex and away from paths so we never encounter off lead dogs thankfully. The cat chooses where he wants to go. He's also mastered the art of using me as a cat tree and scampering up to my shoulders if something spooks him, usually a truck or an Action Bus - to which I'm laughed at by the people on board! Despite the embarassment it's very rewarding. Residents living in cat containment areas can report roaming domestic cats to the ACT Government. Concerned about roaming cats? Consider investing in a few infrared motion detection cameras to identify them. Well, at least no people or llamas will be mauled by cats now. What about dogs Fox’s & owls, you only ever mention cats. All pets should be contained, so far as fox and owls you can’t control that. Does anyone actually police this? Lauren East no but if you find a cat roaming the street you can report it,and if someone can bother coming and scanning the cats microchip (or even catch it), the owner will get a $1000 fine..
Bec Andrews so if you’re not a responsible cat owner with it microchipped then you’re fine to do whatever u want realistically. Seems a bit ironic (or actually totally hypocritical) to bulldoze kilometres of land for high density and medium density homes and roads and then pretend to care about the “environment” by saying they’ll contain cats — as if cats were capable of that same level of total destruction of habitat. There’s hardly any backyard space in those new suburbs so I’d say the cats and kids will be indoors day and night (livin’ the suburban dream). Veronika Sain my cat has access to an enclosed cat run with lots of room to run around and lay in the sun and I don’t have to worry about her getting into other people’s gardens and peeing on their plants, stirring up dogs in yards, killing wildlife, getting into fights or hit by cars. She’s happy and we are happy because she’s always safe. The housing situation is a definite problem, but not related to cat containment. Veronika Sain should they build off the ground or something? Like floating houses. But who is thinking of the birds?